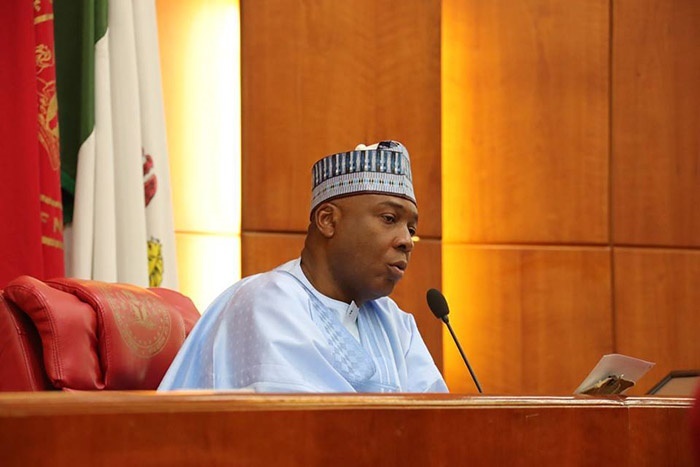 The Supreme Court in Nigeria has adjourned indefinitely the hearing of an appeals filed by the Senate President, Dr. Bukola Saraki and the Federal Government, over the continuation of his trial at the Code Of Conduct Tribunal (CCT). The Senate President, Dr. Bukola Saraki and the Federal Government will have to wait for a fresh date which will be communicated to them by the Supreme Court for a case involving the two parties will be heard. The Supreme Court on Thursday adjourned indefinitely, hearing in the appeal filed by Senate President, challenging the continuation of his trial on alleged false assets declaration. Justice Mohammed Dattijo adjourned the matter on the grounds that all processes had not been filed and served. The registrar of the court would transmit hearing date to parties as soon as the processes were filed and exchanged. Saraki is challenging the decision of the Court of Appeal, Abuja, which in December 2017 nullified 15 out of 18 count-charge filed against him at Code of Conduct Tribunal (CCT). The panel, led by Justice Tinuade Akomolafe-Wilson, ordered Saraki to answer count 4, 5 and 6 of the charges. The outstanding three charges bordered on alleged false declaration of property on 17A/17B, McDonald St., Ikoyi, Lagos and incoherent asset declaration after Saraki’s tenure as governor of Kwara. But Saraki is asking the apex court to set aside the decision of the lower court and uphold that of the CCT which acquitted him. However, in a cross appeal the respondent asked the court to discountenance the appellant’s prayer and allow him to stand justice.